Raul Sanllehi is unlikely to enjoy much peace and quiet as transfer deadline day dawns for Arsenal. The Gunners head of football and the rest of his recruitment team have been working with one arm tied behind their back this month as they do their best to improve Unai Emery’s first-team squad without a penny to spend. To his credit Sanllehi has already strengthened the Arsenal side with the addition of Denis Suarez on an initial loan from Barcelona but that may not be enough to secure the top four finish or Europa League win that they need to return to the Champions League. Emery has made clear his desire to add wingers to the Arsenal squad. Getting a true wide option in to complement Suarez will be top of Sanllehi’s to-do list. Yannick Carrasco’s agent put it best when discussing interest in his client from Arsenal. Arsenal are not usually associated with “decisive and rapid movement” in the transfer market. All too often they identify a player, prevaricate for several weeks, fail to meet the selling club’s demands and the deal either falls apart or they are forced to pay full whack anyway. Though their loan move for Suarez was a complicated one, with Arsenal quite understandably refusing to meet Barcelona’s for a guaranteed commitment to a permanent transfer this summer, it was also a familiar experience to see the deal hit numerous speed bumps and forks in the road. Similarly Arsenal were offered Carrasco earlier in the month but were not entirely convinced. There’s no time to debate now, Sanllehi simply cannot delay any longer. Arsenal may have their doubts about Carrasco but there should be no similar indecision over Ivan Perisic. The Inter Milan winger is undeniably a supreme talent and could make a major impact on Unai Emery’s side. That doesn’t mean Arsenal should sign him, though. Their wage bill is already bloated with players in or approaching their early 30s whose resale value is much less than what the club have invested into them, most notably Pierre-Emerick Aubameyang, Henrikh Mkhitaryan and Mesut Ozil. Perisic, who turns 30 on Saturday, would do nothing to solve that. Arsenal transfer target Ivan Perisic celebrates scoring for Inter Milan. Rather than being a building block of the future he would help Arsenal to win now, but at a cost. Perisic’s integration would undoubtedly block the path of fellow left-sided option lex Iwobi and perhaps even Reiss Nelson when he returns from his loan spell at Hoffenheim next season. All that and in two or so years Arsenal would have another player whose peak years are behind him. 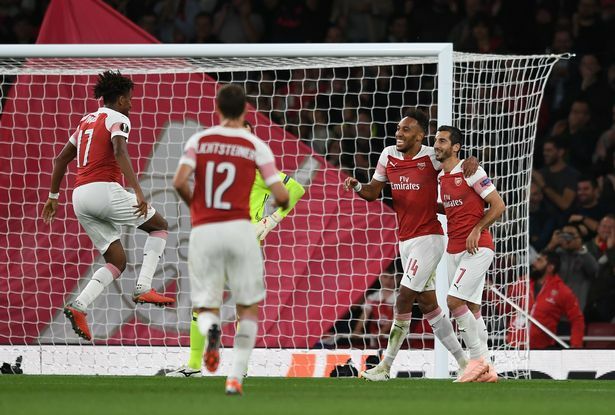 An easier task in the summer, when big earners such as Petr Cech, Aaron Ramsey and Danny Welbeck will leave the club, but the Gunners would still welcome some salary relief over the coming days. Arsenal are right up against the limits of what Financial Fair Play will allow them to do, something which will affect their ability to offer new contracts to current players before the end of the season. Any approach for Mohamed Elneny would be welcomed by Arsenal, though front-runners Leicester appear to have bowed out of the race to sign Youri Tielemans and Roma are yet to shore up their interest. Hector Bellerin’s injury has potentially given Carl Jenkinson a second chance at Arsenal but, with Ainsley Maitland-Niles and Stephan Lichtsteiner available to Emery, any interest in the right-back would likely be seriously considered. Though financial realities have forced them to do loan deals anyway Arsenal have been wise in the way that they have approached transfers this month, even if that has at times slowed the progress of negotiations to a crawl. However Arsenal are ensuring that whatever happens this month doesn’t tie their hands for future windows. A year ago the signings of Pierre-Emerick Aubameyang and Henrikh Mkhitaryan, coupled with the £350,000-a-week contract handed to Mesut Ozil, bequeathed Emery and the new management structure with a bloated wage budget, forcing them into tough decisions over the likes of Aaron Ramsey. In negotiating purchase options, rather than commitments, in deals for Suarez and Carrasco Arsenal are ensuring they have as much flexibility as possible for a summer in which the Gunners’ opportunities will be defined by whether they reach the Champions League. Do so and they may feel able to secure a better class of signings than Suarez, particularly with a transfer budget that would increase significantly on the figure of roughly £50m it is expected to be if the club once more finds itself in the Europa League doldrums. 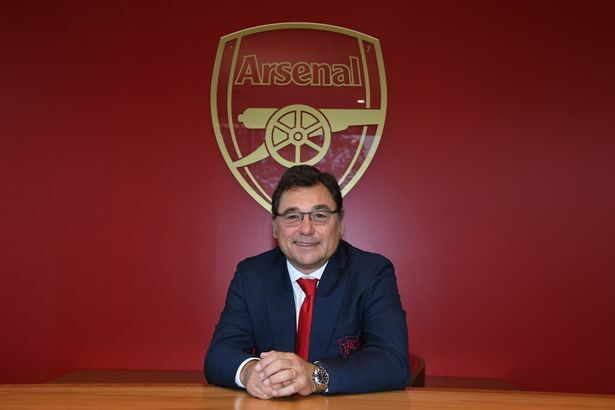 Sanllehi must do what he can to ensure Emery has a squad capable of getting back into Europe’s premier club competition, but in doing so he must avoid mortgaging the future for the promise of short-term success.